I read a lot of this series about fifteen years ago so when I see Mike Ripley's books in the library, which is not very often these days, I borrow them and read them again. This is only the second time I have read this one but it was odd what I remembered. I had completely forgotten the plot and one of the main characters but I vividly remembered the bit about Angel doing the lighting at a rock concert and I also remembered one of the other supporting characters. This is a lighthearted book and Angel is a great character. If you just go with the flow it's a good read. classic Angel shenanigans. Great fun. loved these books as a teenager. 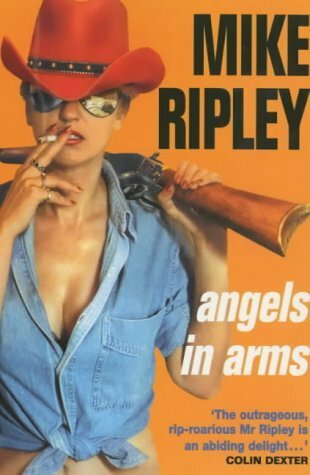 Mike Ripley - Mike Ripley is the author of the award-winning 'Angel' series of comedy thrillers which have twice won the CWA Last Laugh Award. It has been said that he 'paints a picture of London Dickens would recognise' and that 'he writes like the young Len Deighton, wierd and wonderful information and very, very funny'. Described as 'England's funniest crime writer' (The Times), he is also a respected critic of crime fiction, writing for the Daily Telegraph, The Guardian, The Times and the Birmingham Post among others.